"Increase affordable housing tax credit from $85 million to $500 million, phased in over a few years," to spur new housing development. By Chris Nichols, Sami Soto on Monday, February 11th, 2019 at 12:12 p.m.
On the campaign trail, Gavin Newsom promised a "Marshall Plan" to confront California's affordable housing crisis. He said he'd help the state build its way out of the problem by cutting red tape and, notably, boosting money for the state's low-income tax credit by more than five-fold. -- Gavin Newsom interview with Capital Public Radio on Oct. 5, 2018 and Gavin Newsom for Governor 2018 website. Newsom made clear progress on this in his January budget. We'll examine his proposal and consider moving his promise to "In the Works" on our Newsom-Meter. The state's tax credit program allows investors to reduce their taxes in exchange for paying into a low-income housing fund. 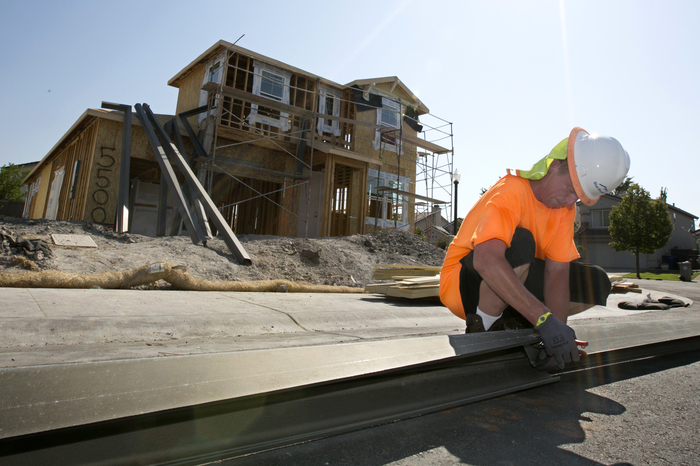 It's California's largest source of funding for affordable housing. In line with his promise, Newsom's budget proposes boosting the tax credit from $85 million to $500 million for the next fiscal year. It also calls for spending at that level in future years. "The state program has been small potatoes and so this would significantly increase the value of the state low-income housing tax credit, which would then allow more investment to flow into affordable housing projects in California," said Anya Lawler, a housing policy advocate for the Western Center on Law and Poverty. Overall, Newsom's spending plan calls for $2 billion in one-time and ongoing funds for all housing initiatives, ranging from local planning grants to loans to help middle-income residents afford homes. "The biggest promise he's fulfilled off the bat is making affordable housing a top priority," said Matt Schwartz, president of the California Housing Partnership, a nonprofit advocate for low-income housing. "It's an incredible contrast to the last governor." During his campaign, Newsom also pledged to rapidly expand California's housing stock by 3.5 million units by 2025 and to streamline state housing regulations. We will assess those Newsom-Meter promises in future updates. Running for governor, Gavin Newsom said he'd increase the state's affordable housing tax credit more than five-fold, from $85 million to $500 million. That's exactly what's in his first budget. While this is progress, it's not a done deal. The Legislature must approve this part of Newsom's budget for it to be rated a promise "Kept." For now, we rate it "In the Works." In the Works — This indicates the promise has been proposed or is being considered. We'll publish updates on Newsom's progress, or lack thereof, on each of 12 campaign pledges. We will rate outcomes, not intentions or proposed solutions, the same standard used for PolitiFact's other promise meters. Not Yet Rated — Every promise begins at this level and retains this rating until we see evidence of progress — or evidence that it has stalled. Stalled — There is no movement on the promise, perhaps because of limitations on money, opposition from lawmakers or a shift in priorities. Compromise — Promises earn this rating when they accomplish substantially less than the official's original statement but when there is still a significant accomplishment that is consistent with the goal. Promise Kept — Promises earn this rating when the original promise is mostly or completely fulfilled. Promise Broken – The promise has not been fulfilled. This could occur because of inaction by the executive or lack of support from the legislative branch or other group that was critical to its success. A Promise Broken rating does not necessarily mean that the executive failed to advocate for the policy.